And the Saddle Winner Is !! Miss Rachel Addleman (left) pictured with her sister Klynn. Their tickets were purchased at the Scioto County Fair, Lucasville, Ohio by their dad Geoffrey. 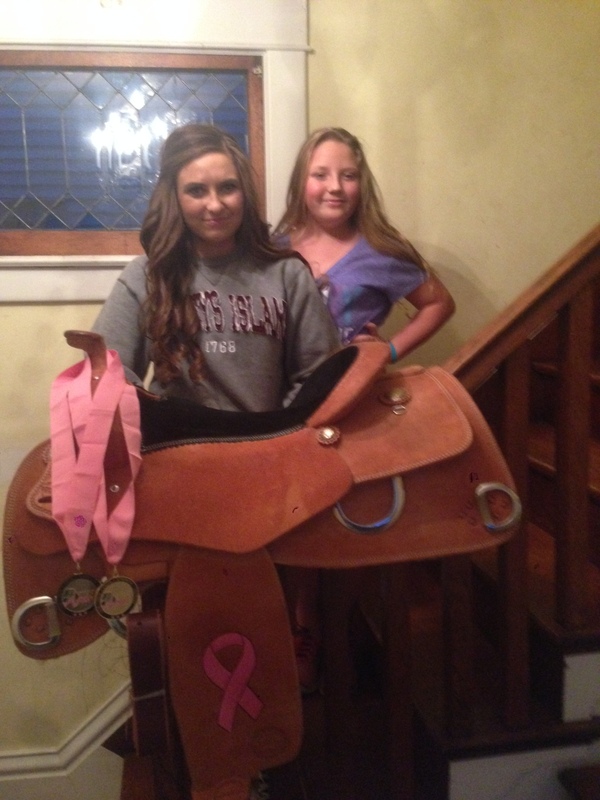 The Training For A Cure Pink Saddle was donated by Osborne Tack of Middletown, Ohio.